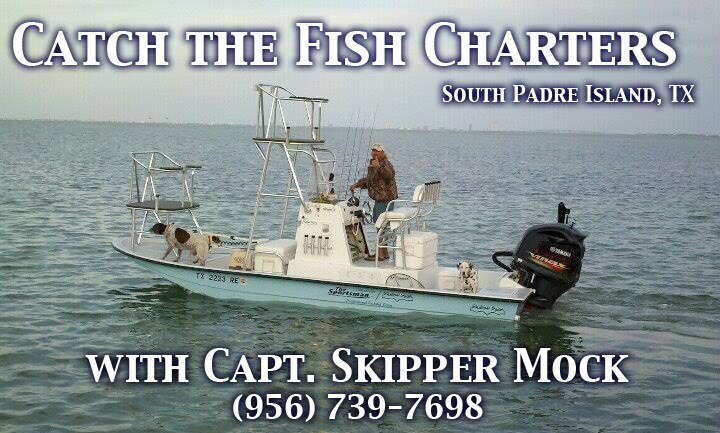 Captain Skipper Mock has been a professional fishing guide, fishing out of the Lower Laguna Madre, since 1982. Using only artificial lures, the captain fishes for redfish, trout, flounder, and snook. Skipper specializes in sight casting for redfish when conditions are favorable. It is Captain Mock's goal for everyone on board to have a great and memorable experience, no matter what the catch is. All fish will also be filleted to your liking for that extra personal touch. please contact Captain Skipper Mock at (956) 739-7698.